The Telegraph Travel published its month-by-month guide for 2016 (http://www.telegraph.co.uk/travel/citybreaks/12112289/The-best-city-breaks-a-month-by-month-guide.html) to help readers choose a city to visit in a certain month. The idea behind the list is simple: every city and destination is at its best at a certain period of year, so why go to overcrowded Rome when it’s better to see, for instance, Venice? 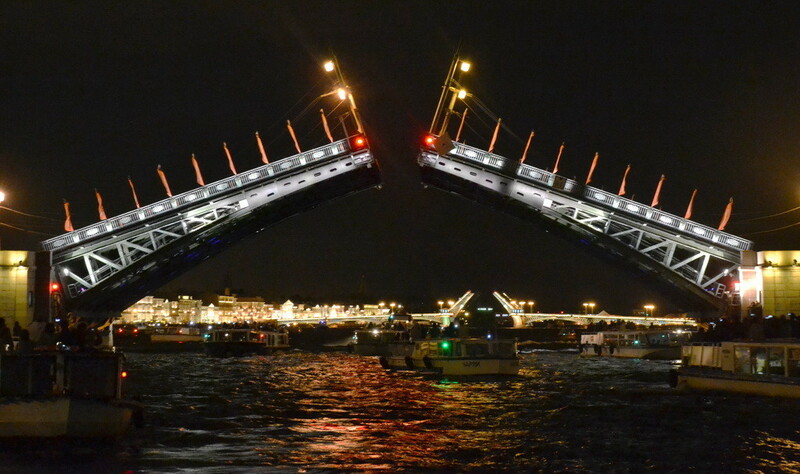 St. Petersburg is good in June, writes Telegraph’s Nick Trend, owing to… White Nights, of course! He emphasized that the city will be hosting the latest edition of the Stars of White Nights festival with its main stage at the Mariinsky theater as well as some other festivities, among them the Scarlet Sails. It’s also very important to keep in mind that The St. Petersburg International Economic Forum will be held from June 16-18. The event traditionally significantly reduces the availability of hotel rooms and even taxi services at times. The best strategy here is to book in advance for this period. Telegraph Travel suggested hotels for every city, and for St. Petersburg, The Astoria was chosen. It’s a beautiful hotel in an excellent location, but it’s not cheap. The local hotel scene now provides very good options in the city center for reasonable prices, even during high season. It’s getting more and more affordable due to the Ruble’s fall against the Dollar, Euro and other currencies.